Kant famously asserted he was awakened from his “dogmatic slumbers” by studying Hume. This occurred not only in Kant’s theory of knowledge, but [arguably] also in taste, aesthetics, and the communicability of feelings. The “communicability of feelings” (1790/93a: 174; §40 (AA 294)) sounds like step one of the multi-dimensional approach to empathy. It sounds like a rumor of empathy. It sounds like step one of an empathic communication that, with further cognitive processing, results in empathic relatedness between individuals. Kant’s “communicability of feeling” is the clue to the reconstruction of the deep history of empathy in Kant. The approach is reconstruction, albeit one motivated by the Kantian texts and the definition of empathy as a unified multi-dimensional process. However, this deep history of empathy is not only about how Kant anticipates the modern definition of empathy. Equally important is the realization that the modern engagement with empathy must live up to Kant’s requirements. These include: (1) an understanding of empathy enriched by the infusion of distinctions from Kant’s aesthetic philosophy, whose incomparable humanity maps to the multi-dimensional structure of empathy; (2) an understanding of Kant as enriched by the inclusion of distinctions from empathy, whose inquiry humanizes in a way that maps to the structure of Kant’s philosophy; and (3) the intersection and encounter of empathy with the Kantian project of humanity as innovative in its demand to humanize community and communalize humanity. How are we to reconstruct a Kantian account of empathy that ascends to the requirements of an a priori (Kantian) philosophy without becoming stuck in philosophical anthropology or digressing into an exclusively moral account of empathy? Within the forms of givenness available to human experience, can we find an experience that becomes a paradigm feeling relating oneself and the other, decontaminated of philosophical anthropology and detached from morality, even if such is not explicitly called out and must be reconstructed in Kant? Granted that the moral law is disclosed in the paradigm feeling of respect; the sublime, in awe; and the beautiful, in delight; does a feeling exist in which the other as other is given without morality swallowing up all the relatedness between individuals? What is the form of experiencing the other as other? Is logical space available for relatedness that is not utilitarian, not moral in a narrow sense (though not immoral), but rather aesthetic-like in being disinterested, universal, etc. without being a judgment of beauty in the Kantian sense? If we are supposed to put our trust in someone, no matter how highly he comes recommended to us, we first look him in the face, especially in the eyes, so as to search out what one can expect from him (Kant 1798/1800: 161; (AA 296)). Indeed the subtitle of the second part of Kant’s Anthropology is “On How to Discern Man’s Inner Self from His Exterior.” In looking the other in the face, in the eyes, what is one trying to accomplish? One is trying to gauge what she is experiencing in relation to oneself in the moment. Authentic happiness at meeting one? Duping delight (Ekman 1985) at deceiving one about the used car one is about to buy from her? Disguised contempt at one’s ethnical background? A guilty secret? This “search[ing] out what one can expect” is a kind of vicarious experience that determines whether we will trust the other or not. A reconstruction gets traction if we redescribe this scenario, not as a magical entry into the other’s soul, but as being open to vicarious experience of what the other is feeling about the possibility of relatedness. This matter of trust is arguably an a priori one, about the form of the relationship as such, disclosing the other as a possibility of relatedness, not a contingent empirical encounter, though particular content will be present too. But then we encounter the other horn of the dilemma. We do indeed have a pure a priori experience of the other; but for Kant our relatedness to the other is drenched in morality. One knows the other exists as a source of spontaneity that impacts one because, as an example of the moral law that thwarts one’s self-love, the other causes one’s pain. […] [A]ll inclination and every sensuous impulse is based on feeling, and the negative effect on feeling (through the check on the inclinations) is itself feeling. Consequently . . . the moral law . . . by thwarting [Eintrag tut] all our inclinations must produce a feeling which can be called pain. (Kant 1788: 85; (AA 128f); italics added). This is a Kantian spin on the modern philosophical problem of other minds (e.g., Wisdom 1949), in which one is confronted with reiterated skeptical doubts in attempting to know that the other is in pain. In a remarkable reversal of how one potentially knows about the other’s pain, one knows that the other individual experiences pain because the other causes one’s own pain as an example of the moral law, which both other and oneself exemplify and share within the framework of the moral law. The reciprocal pain of thwarted wills, occasioned by respect, create a logical space for the communication between persons of all kinds of feelings. A practical implementation of a feeling of displeasure comes to the support of one’s knowledge of the other individual in a practical but necessary and a priori cognition. For Kant, human relatedness has an irreducibly moral dimension, but not in the narrow sense of judging and evaluating, approving and disapproving of the other’s behavior. Rather in the practical sense of determining an experience of the feeling of respect towards others, abstracting from all the contingent circumstances, the conflicts of interest and self-interests that bias a person’s feelings, inclinations, and judgments. One’s experience of the other person, looking the other in the face, in the eyes, is a vicarious experience of the other as other, intermediate between the oneself and other. One’s “searching out what one can expect from him,” the other, is based on the visible features of the facial manifold in a vicarious experience. Thus, although one’s experience of the other starts with morality, it does not remain there. It is a reconstruction of Kant’s analysis, but a plausible one, that the vicarious experience of the other has at its kernel a nucleus of respect for the other, a (dis)interested openness to what is going on “over there” that leaves the other complete and whole in the other person’s own experience in the knowledge he or she is not alone. The experience of respect at the kernel of one’s contingent vicarious experiences of the other as possibility shifts the encounter with the other from an empirical to an a priori one. 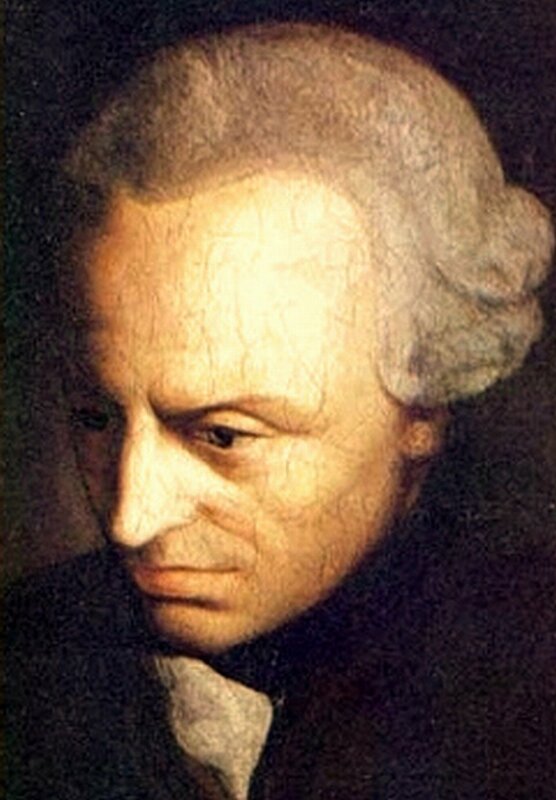 Evidence of the a priori givenness of the other individual exists for Kant as the respect that one experiences in the presence of the other person as an example of the moral law. Can the feeling of respect become a ladder which, once ascended, is thrown away, creating a logical space to reconstruct a non-moral yet a priori account of empathy with the other? Can we refine this awareness of the feeling of respect as a “practical cognition,” with its source in the moral law, into something that stands on its own? On respect one can build a whole world of human relatedness. For further details – and the complete validation of the rumor of empathy in Kant – see Agosta, Lou, A Rumor of Empathy: Rewriting Empathy in the Context of Philosophy (Palgrave Pivot 2014). Kant. (1781/87). The Critique of Pure Reason, trs. Paul Guyer and Allen Wood. Cambridge, UK: Cambridge University Press, 1997. Pages to the Akadamie Ausgabe (AA) are in parenthesis. ______. (1788). Critique of Practical Reason, tr. L. W. Beck, Indianapolis: Bobbs-Merrill, 1956. ______. (1790/93). Kritik der Urteilskraft, Karl Vorländer (ed.). Hamburg: Felix Meiner Verlag, 1974. _______. (1790/93a). Critique of the Power of Judgment, trs. Paul Guyer and Eric Matthews, Cambridge, UK: Cambridge University Press. ______. (1790/93b). Critique of Judgment (1790), tr. J. H. Bernard, New York: Hafner Publishing, 1968. ______. (1798/1800). Anthropology, tr. M.J. Gregor, Hague: Nijhoff, 1974.